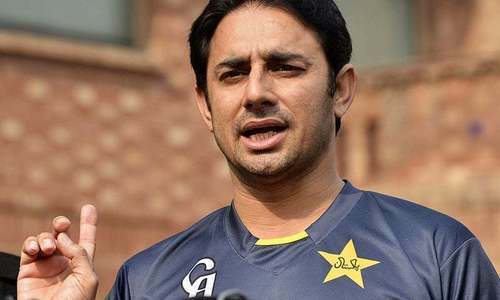 Pakistani cricketers are 'safe and happy' in Uganda despite reports claiming the cricketers are stranded, spin maestro Saeed Ajmal said in a video message shared with DawnNews. Ajmal is part of a Pakistani contingent currently in the East African nation, where a Twenty20 league they were supposed to participate in was cancelled just a few matches into the tournament over a financial disagreement. The cricketers, who include a mix of ex-internationals and active domestic players, including pacer Imran Khan and batsman Yasir Hameed, were promised half their pay in advance of the tournament. But as the promise was not upheld even after several matches had taken place, the Pakistani cricketers refused to play any further, following which, the sponsors pulled out of the tournament, leading to the event's cancellation. The problem arose when the cricketers on Wednesday attempted to board their return flights, only to be informed that their tickets — issued by the league's agents — had been blocked. Despite the misfortune, Ajmal, confirmed to DawnNews that they are not at all stranded in Uganda and have money to spend as well as the support of the Uganda Cricket Association. "We are all safe and happy. Chilling in East Africa," he tweeted along with a picture of the entire group, which seemed to be in great spirits. The recently retired cricketer said that all cricketers were comfortable in their hotel rooms and expected to return to Pakistan on Thursday. Ajmal was hopeful that the cricketers' dues would be cleared with the assistance of Uganda's local cricketing authorities and the International Cricket Council. But what was the need to play in such a league in the first place given the reputation of African countries and the danger to life that is often their in such countries? @Sherry First of all, "there". Uganda is a cricket loving country. They play regularly in the ICC's Intercontinental Cup. It is not a dangerous country and has been so for decades now. Whereas the volatile African states do not play cricket at all. They include Sudan, Nigeria, The Congo and Chad to name a few. Wow, worse situation than of AFN players. Pakistanis do not have the Critical Thinking to understand written contracts. This is not the first or isolated case. The famous examples are IWT and Shimla Agreement. Multiple times Pakistan has gone to International Court about IWT but never won any case despite spending Millions of Dollars. They look more like immigrant students then cricket stars. Unfortunate.C-grade cricketers getting a D-grade treatment. Who is going to hire Saeed Ajmal services! Uganda? speaks volume of our reach on the international sporting scene. @Sherry "But what was the need to play in such a league in the first place given the reputation of African countries and the danger to life that is often their in such countries?" Come on Sherry, we are not talking about Sierra Leone or Somalia here. And lets not throw stones from glass houses - have you counted the amounts of terror-tragedies coming in the paper everyday in spite of Operation Zarb-e-Azb or NAP? I guess one starts reading and counting after losing near and dear ones to senseless, orchestrated violence. Such adamant policies have not helped our reputation either. Here is the actual story: In a bizarre incident, nearly 20 Pakistani cricketers, including top names like Saeed Ajmal, Yasir Hameed and Imran Farhat, were left stranded in Uganda over payment dispute with a T20 league organiser. The players had gone to Kampala, Uganda, to play in a T20 league after taking due permission from the Pakistan Cricket Board (PCB). But upon landing in Kampala, they found out that the league has been abandoned after a dispute over payment issues. After the first two days of the league were washed out, the Pakistani cricketers demanded 50 per cent of their contractual fees as committed by the Uganda Cricket Association. But the orgainsers refused to disburse the money stating that the sponsor of the league has withdrawn. "It was then that we were told payments could not be made since the main sponsor of the league had backed out and there was no money," one of the players told PTI from the East African nation. "We wanted to leave immediately for home but on reaching the airport we were told that since the organisers had defaulted on other payments the travel agency, which had issued tickets, had blocked all seats and we had to return to the hotel," he said. The player said that they had contacted the PCB and the Pakistan embassy and were now preparing to return home later today. "Hopefully, we should be home by Saturday but it has been a bad experience for us. 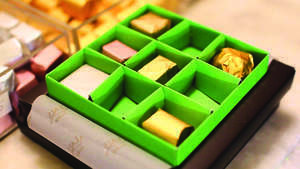 Instead of earning money, we had to spend out of our own pockets," he added. Ajmal, however, posted a tweet to inform his fans and followers that the cricketers were in fact 'chilling' in East Africa. @Kunal, Gurgaon Give this man a cigar and when he is done, hire him. No, seriously. Not what was reported in Uganda press.